A leading damage restoration firm, with a culture of working diligently in providing expert solutions in Hallandale Beach, FL is what Hallandale Beach Restoration Company is identified as. With over 2 decades of experience in the area, we have been providing world-class services in damage restoration following disasters like hurricanes, rainstorms, fire breakouts or general scenarios like leakages due to plumbing failures. We have already assisted hundreds of residents/offices in restoring their property in similar scenarios. A team of creative and motivated people helps us achieve maximum customer satisfaction on all of the services we provide. The professionals are skilled and trained and thus have the astuteness to make well-informed decisions considering the type of damage and other crucial factors. This is the reason why our customers depend on us for quality solutions. 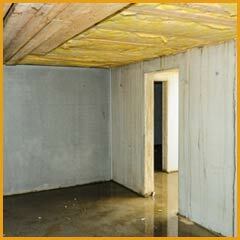 Following a disaster, it has always been challenging for property owners to reinstate life to pre-disaster conditions. Not just the loss of the property, but the tearing down of valuable belongings and furniture was challenging. It was reasonably complex to re-establish everything all over again, which was not only a burden financially but took a lot of time as well. Every disaster resulted not only in shattered homes and properties, but traumatized people as well. This is what had us thinking and that is when we came up with the initiative of providing services in an innovative and a super fast manner to those who were in distress. Sentient of the fact that the damage can be curtailed if the restoration is started as swiftly as possible, we helped customers in minimizing losses. 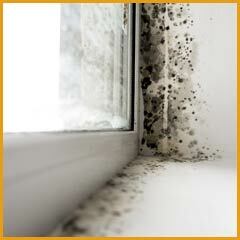 Now the property owners can call us on our helpline – 954-379-2883 for immediate assistance. We can get to them within 30 minutes of receiving the call and get to work right away. In addition, our designs and products are such that they can prepare you for similar disasters in the future, thus holding back losses. This approach has made us the go-to name in the region for all types of disaster mitigation and restoration. 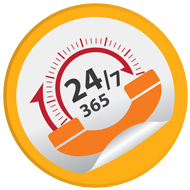 24/7 solutions:Our services are available round the clock to property owners in Hallandale Beach, FL area. You can call us anytime for regular consultation or emergency restoration services without making prior appointments. Trained professionals: Our team of professionals is highly skilled and talented. In addition, they undergo rigorous training periodically in order to keep up with the latest tools and trends. Innovation at every step: With the knowledge of latest advancements in the industry, our team brings in quality innovation in the solutions delivered to customers. High-tech equipment: Hallandale Beach Restoration Company discontinues the use of tools as soon as they become archaic and only believe in using the best equipment in the services we provide. Insurance assistance: Settlement of claims is another thing our customers never find troublesome while working with us. Just give us a call anytime on 954-379-2883. Our skilled professionals will take care of all your restoration and damage mitigation needs regardless of the type of damage incurred!